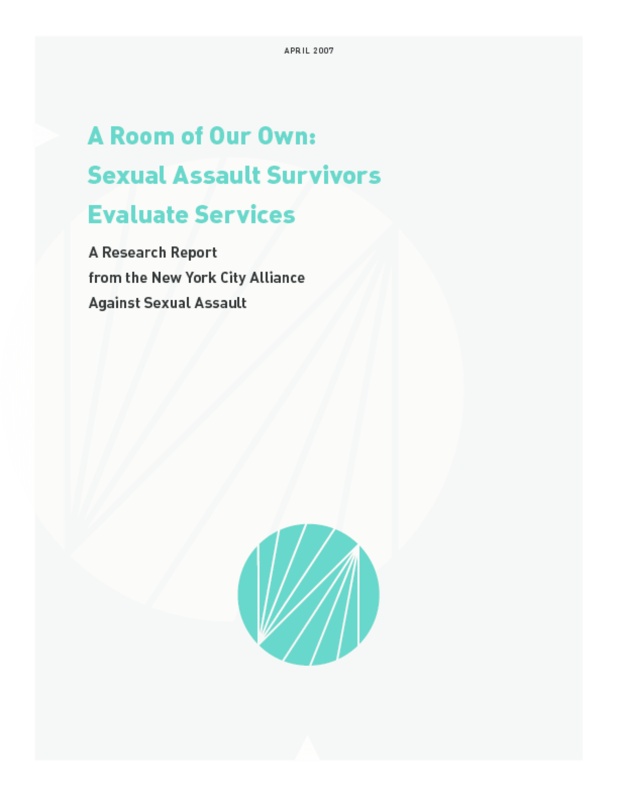 The Alliance's research seeks to provide baseline evidence regarding the treatment of sexual assault survivors in NYC with one goal in mind: to improve care. The companion research report "How SAFE is NYC? : Sexual Assault Services in Emergency Departments" documents what is and is not being done for survivors in the acute care setting. Together these two reports highlight the tremendous strides that NYC has made to improve services and the work that still needs to be done to ensure that all survivors, no matter what borough, no matter what age, no matter what sexual orientation or physical ability, have access to the best services available. Copyright 2007 New York City Alliance Against Sexual Assault.